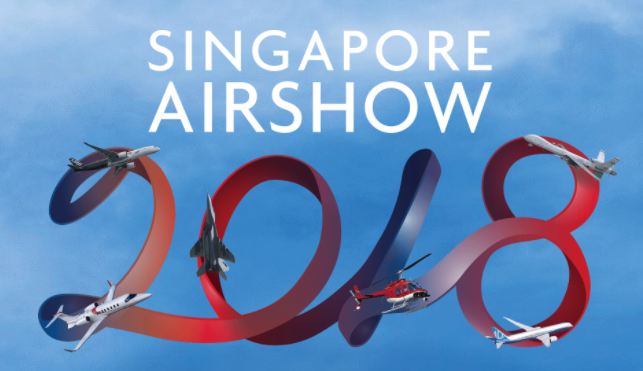 For the first time ever, PLEXSYS Australia and ImmersaView, will be demonstrating at the Singapore Airshow, taking place February 6 – 11, 2018 at the Changi Exhibition Centre. As Asia’s largest aerospace and defence event, it will once again bring together the global aerospace community and key commercial, government and military delegations. PLEXSYS concentrations include the development of Live, Virtual, and Constructive (LVC) environment generation technologies used throughout the United States and within other joint and international endeavors. We also provide superior mission briefing and after-action-review technologies, as well as comprehensive LVC synthetic communications training solutions. Located on Stand F67, will provide demonstrations of Video, Audio, and Data for After-Action Review (VADAAR) LVC and offer additional information on Advanced Simulation Combat Operations Trainer (ASCOT) to visitors throughout the show. “Partnering with Team Defence Australia we are pleased to showcase leading LVC solutions. We look forward to a successful airshow and entry into Asia’s aerospace and defence market,” Dr. Andy Boud, ImmersaView President said. ASCOT is an environment generator which provides real-time, and interactive simulation solutions. VADAAR LVC provides a local and distributed, multi-participant after action review capability, all accomplished within a light and upgradeable software framework that uses your existing computer network, eliminating the need for additional hardware. It allows you to record, review, and stream video, audio, and data locally or anywhere in the world from any device. The team offers one-on-one discussions about our technologies. To schedule an appointment, please contact sales@immersaview.com. PLEXSYS was founded in 1986 specializing in modeling and simulation systems and support services for 21st Century Air, Land, and Sea synthetic training. PLEXSYS serves clients in defense, government, commercial and academic sectors. ImmersaView is a PLEXSYS subsidiary and was established in 2006. ImmersaView has evolved to become a global leader in visualization software. Whether in software or strategy, ImmersaView has the industry insight, passion and expertise to deliver technology solutions that streamline the way you manage your visual, audio and sensory assets. Learn more at www.plexsys.com and www.immersaview.com. The Singapore Airshow, formerly known as Changi International Airshow, is a biennial aerospace event held in Singapore. The event was launched as a partnership between Singaporean agencies Civil Aviation Authority of Singapore and the Defence Science and Technology Agency after the relocation of Asian Aerospace from Singapore.